Kailash Mansarovar pilgrimage tour: is one of the most demanding and challenging of treks and tour for pilgrims in the world. This is a route opening up unending stretches of barren land, lush green valleys, snow capped peaks and pristine blue lakes. Mt. 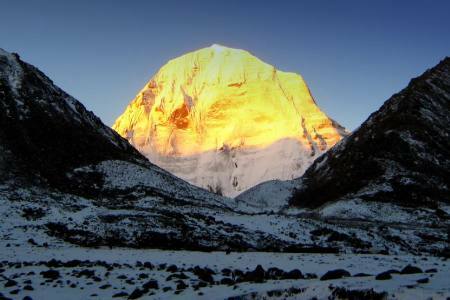 Kailash is the abode of Lord Shiva, and the source of the Brahmaputra. This mount is considered as one of the ten most beautiful mountains in China and a divine mountain universally by people from all over the world. Its shape is like the pyramids. Its glistening snow-covered top makes it the most eye-catching one. Around this sacred mountain, there are five temples in total. All the temples are shrouded by mystery and legends.The peak of the Mt. Kailash is always enveloped by white clouds. Therefore the locals think if someone can clearly view the peak, he or she will be very lucky. For hundreds of years, Mt. Kailash has been an alluring mountain to pilgrims and explorers. However no one has reached its top until now. This kailash Mansarovar Yatra by Helicopter package is one of the famous packages in this region, who will make the journey easy and fast. 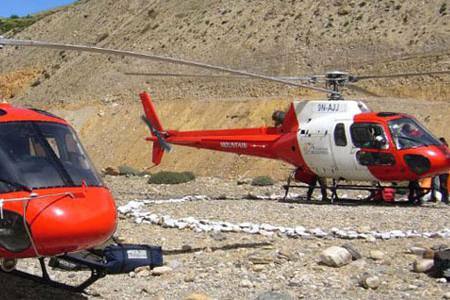 In helicopter tour package you will be flying from Katrhmandu to Nepaljung to simikot and take helicopter from Simikot to hilsa. After entering tibate you will drive to Mansarovar.One night extra staying in Taklakot for the acclimatization toward to Kailash. Then drive 200 Km to reach in holy Manasarover Lake. This is shortest route to reach Manasarovar and can consume time for timeless pilgrim. Flight from Kathmandu to Nepalgung , stay overnight at Nepalgung. Next Morning we will have a schedule flight to simikot, after formalities of Immigration, then we take Helicopter to Hilsa Nepal-Tibet boarder after immigration process of Tibet and continue drive to Taklakot. 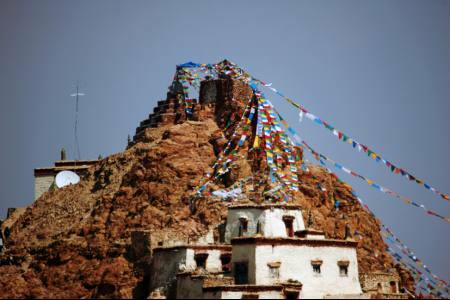 This is best and short route to reach in Tibet for Kailash yatra. 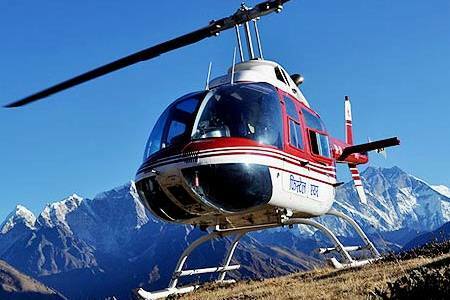 This Kailash Mansarovar Yatra by helicopter will cover Hills Mountains, Lake, Landscape, Green field as well as Tibetan local life style whilst on the tour and trek. Day 07: After early breakfast, start trekking to Zutulphuk via Dolma Pass (highest point of entire journey), the distance is 18 KM with approximate time taken 9 -10 hrs. Day 09: Drive to Hilsa via visiting Khojar Nath Buddhist Temple. Three meals a day in Tibet: Breakfast, Lunch & Dinner as well as tea, coffee, soup, juice etc. Day 07After early breakfast, start trekking to Zutulphuk via Dolma Pass (highest point of entire journey), the distance is 18 KM with approximate time taken 9 -10 hrs. Day 08After early breakfast, trek further for 10 KM, 3–4 hrs to arrive at the ending point of Parikrama where jeeps shall be waiting to drive the pilgrims back to Manasarovar for last puja (worship) and holy bath and then proceed towards Tirthapuri (approx 2 hrs drive) Tirthapuri is where the legendry spot where the demon Bhasmasuire was burnt to ash. It is situated on the right bank of Satlej River. Then, finally proceed for the overnight stay at Taklakot. Day 09Drive to Hilsa via visiting Khojar Nath Buddhist Temple.There will be helicopter waiting to take you back Simikot and take a flight to Nepalgunj (You can go Kathmandu or India from Nepalgunj).